M Creative Agency is a wonderfull Joomla business template. Great for a creative agency, web design firm, standard business site or even personal portfolio. We’ve included the most amount of modules and styled to match the design to give you great flexibility in putting together a site. Image and Content Fader, Photo Showcase, Tab Show and many more are all included and styled. This month we also released a new module that will type predefined text out in an animation. We call it the S5 Typed Text module and its available for download to free and paid members. M Creative Agency is based on one of the most flexible and powerful frameworks Vertex. The Vertex framework is a set of functionality that creates the core logic and structure of a template, while adding many great features such as: S5 Flex Menu, Column Widths, Page Width, Multibox Popups, Tooltips, Info Slides, Google Fonts, File Compression, Responsive Options, Mobile Navigation, Color Pickers, and so much more! A beautiful user friendly Vertex administration area (Backend interface) gives you full control over your template. Currently, Shape5 doesn’t sell products individually, instead they sell memberships. In order to obtain one of their club products you must purchase a membership. With a membership you will have unlimited access to all downloads and forum support during the time of your membership. Best value member pays $79.99 for 12 months access. Once your payment is complete your account is immediate active, this generally takes less than a minute to occur. Then you can instantly download the product as many times as you need from the Customer Area section. Quickinstall package is provided for you to have the demo in seconds. Site shapers are full installations with demo data pre-installed. 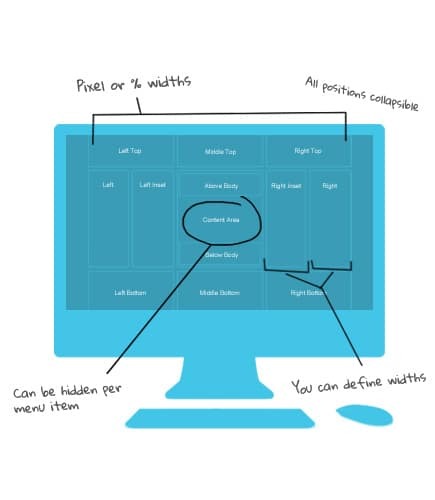 This allows you to easily and quickly achieve the same layout and configuration as the demo uses. Templates come with the original PSDs used to create the template. M Creative Agency is a beautiful and intuitive responsive Joomla business and portfolio template. The design is minimal and elegant. Professionally designed page templates and layouts as well as independently certified security features make M Creative Agency a solid choice for business and commerce websites that need power and flexibility. Extensive SEO capabilities, serious and sleek Portfolio pages for showcasing your works and much more under the hood also make M Creative Agency the most reliable theme for creating successful business websites today.